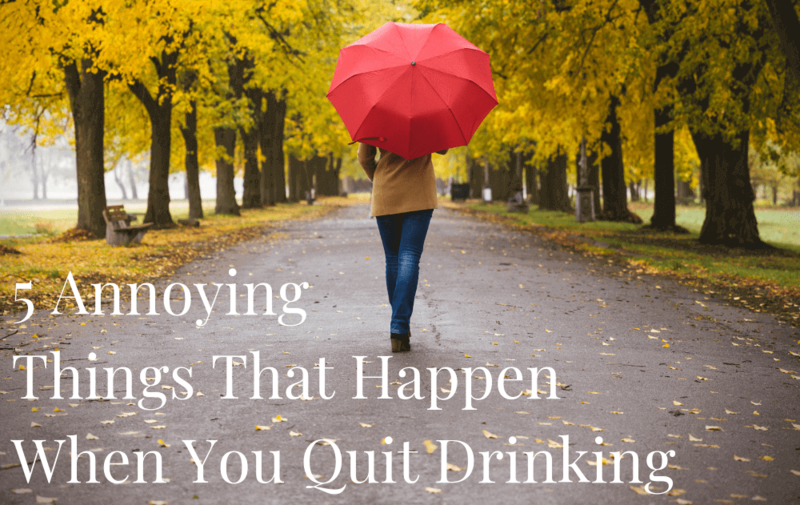 Deciding to quit drinking is one of the best things I’ve ever done for myself. Initially, my plan was just to take a break for 100 days, but five and a half years later I’ve never looked back! I decided to stick with sobriety because I felt so much happier and healthier without alcohol in my life. Whilst sobriety has turned out to be (surprisingly) awesome, I can’t pretend it’s all been sunshine and rainbows. Most drinkers surround themselves with other drinkers. Your decision to quit might make your old drinking buddies feel uncomfortable or self conscious about their habits. I’ve realised that a true friend should want to spend time with you no matter what’s in your glass. If your relationship weakens when you stop drinking, it isn’t your sobriety that’s to blame – your AF lifestyle is simply shining a light on the weaknesses already there. You do need to give people a chance to adapt and adjust, but if someone can’t get their head around you not drinking, don’t stress about it. Some relationships change over time. You will meet new friends – and the great thing is that in sobriety, they’ll get to know the real you. It amazes me that people think it’s ok to say this stuff out loud! But other people’s reactions reveal everything about them and nothing about you. Personally, the way I respond depends on the mood I’m in – I wrote more about what you could say in this situation here. The surprising benefit of dealing with this kind of crap is that a) it’s given me a slightly thicker skin and b) it’s made me far less judgemental of other people. Nowadays, I really think about how I treat other people who choose to live life differently to me. This kind of crappy text message might not feel like a gift, but it kind of is! This guy did me a massive favour by revealing his true colours so soon. There ARE lots of men who don’t care whether you drink or not (and I know this because I’ve dated them). If someone is weird about your sobriety, then the chances are they’re pretty judgemental and narrow-minded about a lot of other stuff too. Sobriety doesn’t make it harder to connect with people, start relationships or go on dates. Honestly, all it does is help you weed out the weirdos a bit faster. After years of using alcohol to numb the edges of life and smooth over any awkwardness, sobriety can leave you feeling as if you’re walking around naked. I think there’s something really amazing about just being yourself and not hiding behind a boozy comfort blanket. When you start showing up as you – and discover that people still like you! – it’s a massive confidence boost. AF living forces you to go against the grain and be a bit different, and that sets you up for great things! I regularly hear from students of mine who’re doing really cool stuff in sobriety. I shared a few pictures here. When I first quit drinking, I seemed to go to so many events where there were just two drink options: red or white. That was it! I always remind myself that it is completely ridiculous for there not to be any AF options. What about people who’re driving or pregnant? Thinking about this helps keep things in perspective and stops me feeling like I’m being awkward when I ask for something else. Where possible, be proactive and plan ahead. If you’re going to a party, take drinks with you that you know you like. If you’re heading out to a bar, see if you can find their drinks menu online so you know your options in advance. I’m going to wrap this up by reminding you of something I wrote at the very start: stopping drinking is one of THE best things I’ve ever done. Sobriety isn’t always easy but it IS always worth it. I’m nearly six months AF and I can relate to so much of this! Especially the people saying stupid things!!! But to be honest I don’t really care. I know this decision was the best thing for me + it’s 100% my choice. A few thoughtless comments is a small price to pay for my hangover free mornings. Hangover-free mornings are the best 🙂 Congratulations on nearly hitting the six month mark Lisa – what a milestone! Am on 100 + days and it is good.I have “forgotten” counting and just looking foward.Tell you what, your messages resonate! Totally agree that some friendships will change if all you have in common in drinking! I feel as if I know who my real friends are now. The most important change for me is that I’m a lot closer with my family now AND I know I’m a better mum too. 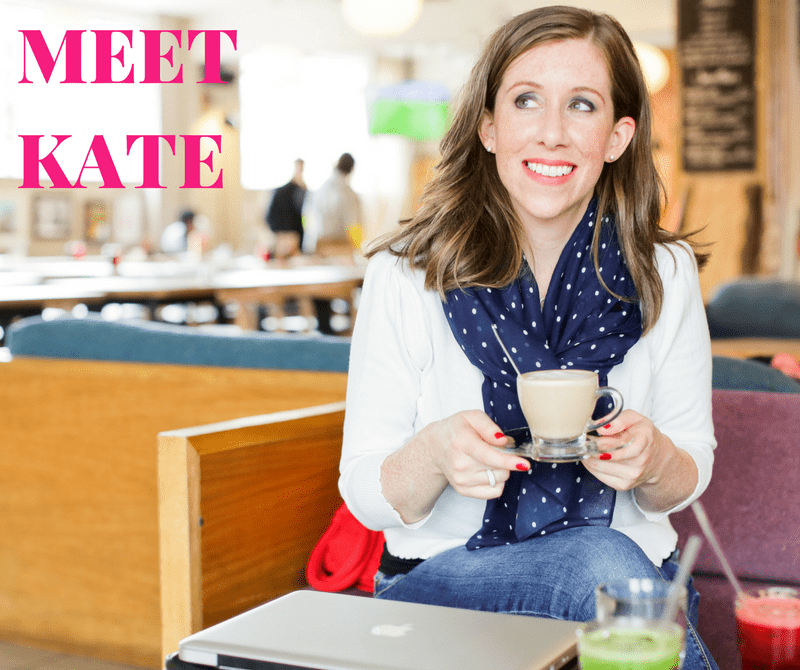 I think Kate mentioned a way to respond back to people that resonated with me. It was to say “wine (insert whatever) just doesn’t fit in to my lifestyle right now”. Also, a neighbour of mine recently told me that alcohol just doesn’t agree with her anymore. 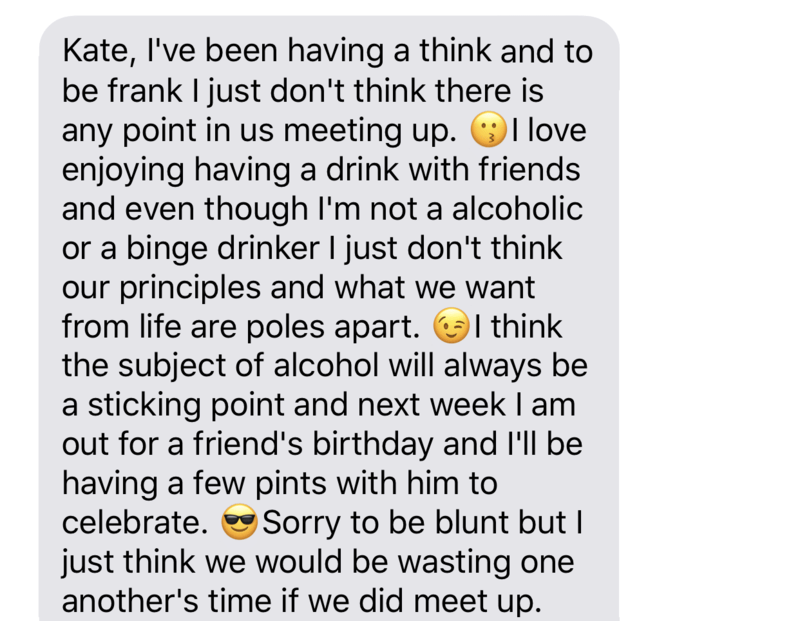 I thought what a brilliant way to respond because I didn’t even question her comment and now I would never even think to offer her wine first because I don’t want to be a detriment to her health. Hope this helps, Best of luck! I’m reading this blog before I do today’s lesson. I love your blogs, enlightening & honest. I’m 3 weeks AF & loving it. My MIL commented this weekend that she was worried about my not drinking! She’s 83. She was worried I was ill. I explained the benefits I’m feeling & though she seemed to understand she finished the conversation by saying ‘but you will drink again?’ I replied who knows but right now I’m a happier, better version of me without alcohol so I’m going to keep going. Hi Kate, this piece is what I needed. I’ve been AF for almost a year and it is amazing to see how foolish people can be when you pass on drinks. You do find out who your true friends and family are. Giving up and the alcohol has been the best decision I’ve ever made. No regrets. Hi Kate. I was alcohol free for well over a year and have frustratingly fallen back in to an almost daily habit again. Your emails and audios remind me of how proud of myself I was for that year and a half of AF free living and the quality of life I was experiencing. Thank you for helping me remember that. I REALLY want an AF life again. I am grateful for the support you offer here. While I understand about the social aspects of not drinking and handling the sometimes awkwardness that comes up when friends and family ask why, but it’s not for them it’s for me. I stick by my decision for me not for anyone else, so they (whoever they are can take whatever position or attitude about my not drinking) can go to………… because it’s for me and only me. Only I remember to well the times I embarrassed my self in front people, had shame and guilt for drinking to much, said things I wish I could take back or/and was flat out for two days. Not a life I want to return to, so being sober is for me and me only. It makes me fell whole. Just a side note for some that are having trouble stopping is that each person that has a alcohol addiction is glucose deficient so to help with this eating lots of fruits and leafy greens helps restore the healthy glucose. I love dried dates and mangoes so I always have them on hand. This has really helped me. Just getting started on an AF life, but I can relate to this! I have many fears of how my friends will react. I have an event coming up and I know I will be faced with some backlash, but ultimately I know those who support me are my true friends. Good luck with your event Lauren – I’m sure you will be fine. Make the decision before you go that you aren’t going to drink, no matter what anyone else says! In these situations, I think that honesty is the best policy: I tell people that I have made a commitment to being whole and healthy in body and mind. So alcohol simply does not suit my new lifestyle, in the same way eating greasy takeaways, stuffing my face with chocolate and smoking doesn’t. When confronted with criticism you could always flip the question and ask drinkers why they choose to drink excessive amounts of a substance that causes irriversible liver damage…I wonder what the answer would be? But that would prove the importance of respecting people’s personal lifestyle choices…not just related to alcohol but also to being a vegetarian or giving up sugar for example. 9 days sober and loving it! Already feel so much happier, stronger, more confident and a few pounds lighter! Well done to all my fellow companions on the journey of sobriety. I took the decision to be alcohol free back in June this year. I got to day 48 and then buckled on a weekend away with friends. I didn’t actually want the drink but I felt completely out of the group and ready for bed by 10pm so I poured a glass of wine followed by a few more. The next day I was so disappointed in myself as I had been feeling great. So I’m now here again trying to bin the booze. I eat well, I exercise and so want to change this drinking part of my life. On a day to day basis I’m fine but I have a weekend away planned this month (girls book club) and I’m worried the same will happen as before. I know there will be pressure for me to drink, I guess I will just have to dig deep!! I am nine months AF and life is so good. In these nine months I have gotten: a fiance, amazing opportunities at work, better relationships overall with friends and family (the quality relationships will still be there while the other ones will go-and you’ll be glad for it), clear skin, a healthy body, peace of mind, and SO much more. What I’ve lost: hangovers, being a mess, bottoming out, and sinking further and further into despair. No thanks! I am very lucky that most people don’t make a big deal out of me not drinking. However, if people ask, I say I can’t drink due to medicine I take. This is true since I’m not supposed to mix my medicine with alcohol (although that never stopped me before). I’ve noticed that a lot of people who DO make a big deal out of sober people can be jealous of us. THEY rely so much on booze and we don’t and they can’t handle it. It’s all insecurity and I end up feeling a bit sorry for them. I’ve been drinking too much and too often. Taking a break. I am almost a year without alcohol! 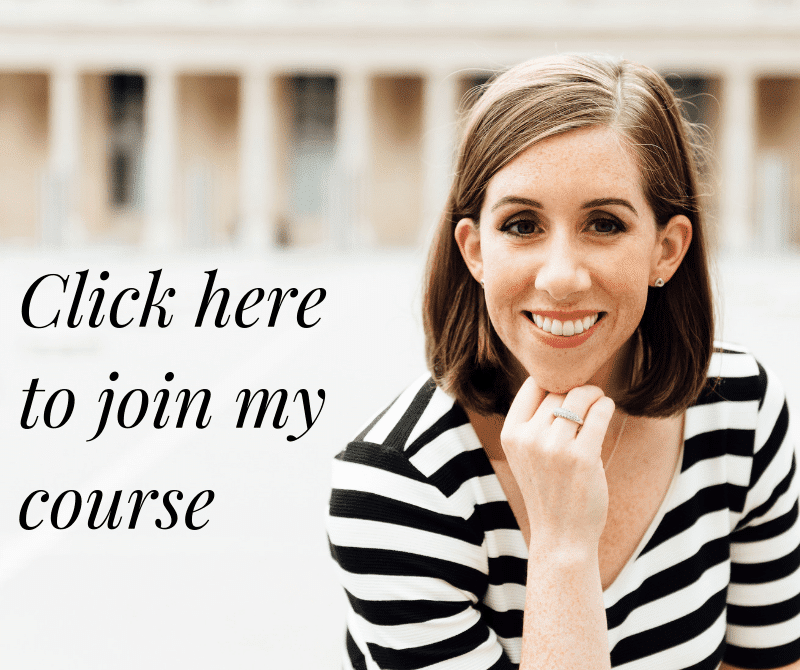 I took Kate’s course last January and haven’t had a drink since beginning the course. It was the best thing I have ever done for me. I feel so much better and know it is right but do have to admit I have had to be mindful and work on things as I go down this path. I don’t worry so much about drinking again and try to be prepared with a plan. The holidays are coming and it will be my first holiday season in many, many years not drinking. I’m a bit stressed about that but know I need to do what is best for me so it will be fine! I don’t intend to go back, just forward and am grateful for finding Kate and the support on the facebook group. I’m not exactly sure what made me search sobriety on the internet on a monday morning 6 weeks ago but i clicked on The Sober School and the rest is history! I am very confident that i will not drink again. I started drinking when i was 15 and i am now 52. Thats a lot of hangovers , days of regret and anxiety and money. I’m just sorry it’s taken till now but anyway.. I visited a relative of mine ( a retired GP )in Canada who i had never met before, 16 years ago. I had just finished treatment for breast cancer and felt very lucky to be alive. At that time it wasn’t suggested that alcohol was linked to breast cancer but i did become aware not that long after. He told me i drank too much .Sadly i ignored him. What i have gained apart from a clear head is that i don’t now have the daily battle of whether I’m going to have a drink , how much I’m going to drink and whether other people think I drink too much. I am 9 days into being af after drinking on average 10 bottles of wine a week! I also work in a pub which makes it more difficult. I have had many comments from friends/ customers that they don’t believe I can do it or they think it’s s daft idea. I already feel so much better and am determined to continue. After all its my life and my health and I don’t care what anyone else thinks! I have just completed stoptober, i had a drink last weekend to “celebrate” and I felt awful the next day! Had a horrific hangover! It sounds as if you’ve learnt a lot from this experience. Giving yourself the gift of a hangover isn’t a great way to celebrate anything 🙁 Onwards and upwards Jo – now you know just how good sobriety makes you feel compared to the alternative. I’ve been thinking about giving up for a long time, I’m 43 with the three adult children and have always used wine as a way to de- stress. I seem to go in phases of not drinking everyday and then sometimes drinking a bottle every night. I feel like I want to give up now, but have lots of nights out and three weekends away booked this year and honestly don’t know if now is the “right time”. I do feel in the right place now but its only been literally a few days since I drank! I already feel better for it and although getting to sleep is harder, I sleep well now and wake up feeling 100% instead of 70%. Should I just bite the bullet and get on with it? My feeling is I’ve picked the worst time to start with regard to so many Xmas nights out with friends asking questions, but surely there will always be an excuse not to if I look for them. 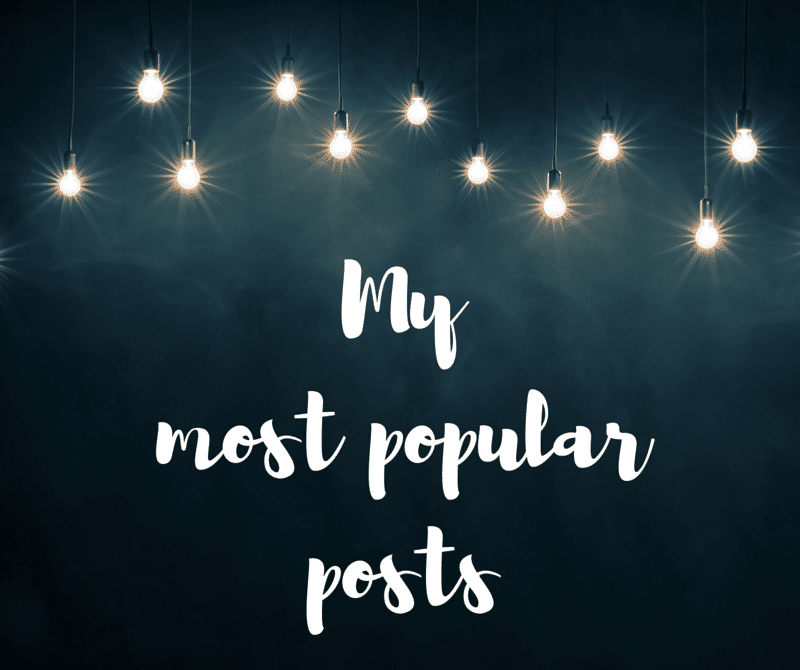 Thanks so much for the blog Kate, in a world where it seems everybody is always drinking it is a reassuring place to be. Hi Sarah . Think of it this way; Christmas and vacations will actually be more enjoyable without the booze. Imagine waking up on Boxing Day for example, feeling fresh and clear headed and happy with yourself. As for weekends away, and holidays you’ll get so much more out of them! I think Kate did a video on Paris which illustrates this. Thank you both Kate and Clair, it helps to read that. I think the idea of trying (again) and slipping up straight away seems worse than postponing starting if that makes sense. I’ve been trying to immerse myself in the positives of being booze free rather than my usual way of using will power like I’m trying to prove something. One of the positives so far is I am following WW diet plan and although restrictive it allows you to fill up on “free food” and use your points for alcohol (obviously this is not what they intend!) in just these first five days I’ve treated myself to lots of comfort food I wouldn’t normally have and have lost a pound. Shocking really that alcohol has so many calories and also that I manipulated my diet so I could drink still! Kate, I took your class 19 months ago and it was the best thing I´ve done for myself. I came out of those 6 weeks with so much knowledge and self confidence! And you are right, it isn´t all just rainbows, all the above does happen (I love your insight on #2! )and it does get easier. I love that I´m so much more secure in being me. I´m so happy that I found your course. Thanks for the amazing feedback Karen – I’m delighted to see you doing so well and feeling so secure in your sober shoes! Many congratulations on your sobriety! I am on day 22 alcohol free – in those 22 days I have attended my first concert sober – U2 were awesome and I never missed a minute of the concert queuing at the bar and saved enough cash for a souvenir tour t-shirt! I have also completed a week’s holiday in Spain visiting my parents – who drink daily- and only once did I think of having a glass of wine – then I realised I was thirsty! All of your five annoying things have happened! I am now a connoisseur of alcohol free beer (af wine is disgusting!). I am enjoying the clear head in the morning but have not really experienced a huge increase in energy – just seem to want to sleep all the time! Has anybody else experienced this? Also I’ve developed a really sweet tooth – is this usual? Yep, that’s all very normal – tiredness and a sweet tooth are common side effects in early sobriety. They will pass. Congratulations on your 22 days and for going to the concert sober… live music is amazing when you’re clear headed and 100% present, rather than queuing at the bar! I have repeated this cycle many times. I smiled when you said if we can deal with a horrible hangover we can deal with sobriety. That really gave me encouragement. I hate the person I become when I drink. I rage and get very depressed. I look forward to your class in January. I am 5days sober and planning to keep going . Really enjoyed your post. I felt comforted that someone close to my own age is is going through the same thing I am. I am 3 days sober and plan to keep going though I am afraid. Depression and boredom are my worst enemies. I have been drinking longer than you have and like you I was encouraged when I she said if we can deal with a hangover we can deal with sobriety. I wish you and everyone here tons of good luck. I so want to put drinking behind me for good. I tell myself I am a non drinker just like I am a non smoker. I never smoked so I Am trying to look at alcohol like smoking. It just isn’t something I do . I am now 21days AF. Katie, that is so odd, I never smoked either. I tried once or twice when I was young but hated it so never took it up, I just wish I would have had the same experience with alcohol, it is a hard demon to fight. I too have allot of family crisis to deal with. Life is hard and not drinking is harder but I am trying. I am so proud of you and filled with envy 21 day is and I KNOW you will make it to 30 just hang in there and Good Luck to you! I’m doing dry November! It’s definately getting easier each day. We went to a dinner party on Saturday night and because I offered to drive I didn’t need to explain myself. I really want to do this! To be honest I don’t feel any different, just more tired – is this normal? Hi Sarah , I started on 2nd Nov and am also finding myself more tired than usual – although struggling to get to sleep so easily. Keep it up , we can do this! I also am in my first month alcohol free and experiencing the tiredness – have been told this will pass so am enjoying earlier nights with mugs of hot chocolate and a good book – that I usually fall asleep reading after one or two pages. Be kind to yourself and well done! I’m on day 4 of being AF. I’m 42 and the only time in my life I’ve not drank at weekends was when I was pregnant with my son and daughter. I associate the weekend with alcohol. I’ve been in and off the we diet and was fed up losing weight, only to pile it all back on again at the weekend through drinking wine and snacking. I feel like I’ve been in a vicious cycle. Waking on Saturday and Sunday feeling groggy and not having the energy to get out the things done I want to do. The guilt of drinking to excess really effects me. I’m feeling optimistic but slightly nervous that I’ll crumple tomorrow… what strategies can I put in place? I don’t want to fail! We’re going to our neighbours on Saturday night for dinner and they are big drinkers and know me as a lady that loves her wine! What do I say? Hey Kate! What a service you are doing for the world! I am coming up on my one year mark and still do not regret the choice of AF! I have made the choice to remember the night, not stumble around and be stupid. I now have more of the self esteem I have always craved in my life. Thanks to you and the education you provided about alcohol, I am having a much more peaceful home life too.